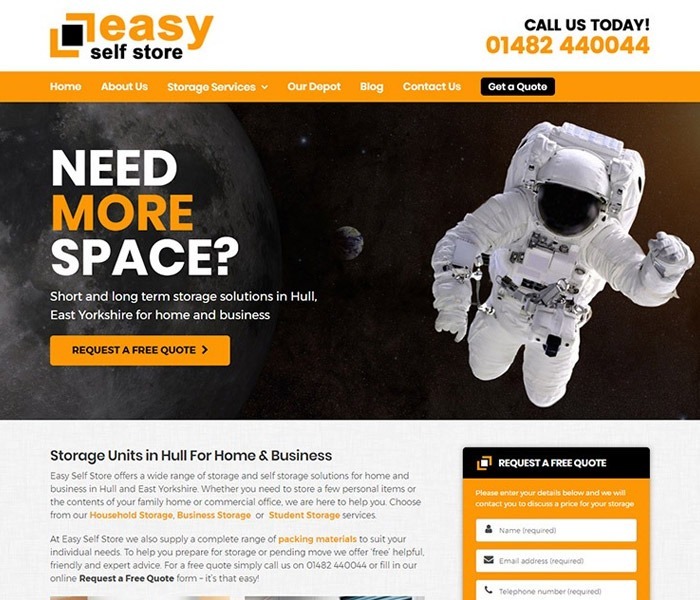 Easy Self Store are a self storage company based in Hull. They had a new website developed by our web design company Get Noticed Locally and YuBe carried out SEO work on the website. The website is built using WordPress (a content management system) which Google seems to love. The site has lots of content with different pages for their different storage services including ‘Household Storage’, ‘Business Storage’, ‘Student Storage’ and ‘Vehicle Storage’. It also has a blog which is updated regularly – this ensures that the website always has fresh content. As well as managing Easy Self Store’s organic SEO, we also set up and manage their Google Adwords campaigns. Their website works very well for them and the traffic they generate from both their organic and paid listings on Google and Bing ensures that they get many enquiries on a daily basis.